Hey guys! Quick post from me today to show you all a mani I did AGES ago, that I just found in a folder hidden away lol. I'm so terrible about that. I can't be the only one, am I? 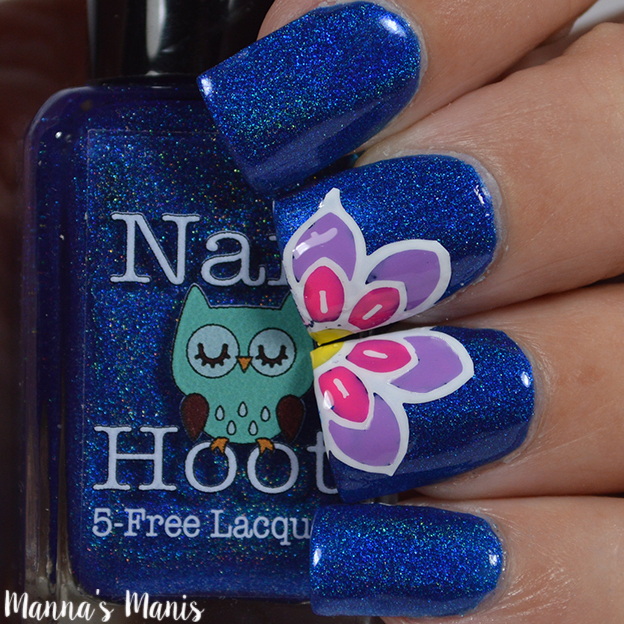 Nail Hoot Sapphire is SO gorgeous, I couldn't take it off without trying some nail art first. I missed a few spots, but I still like how these turned out, and I hope you do too!